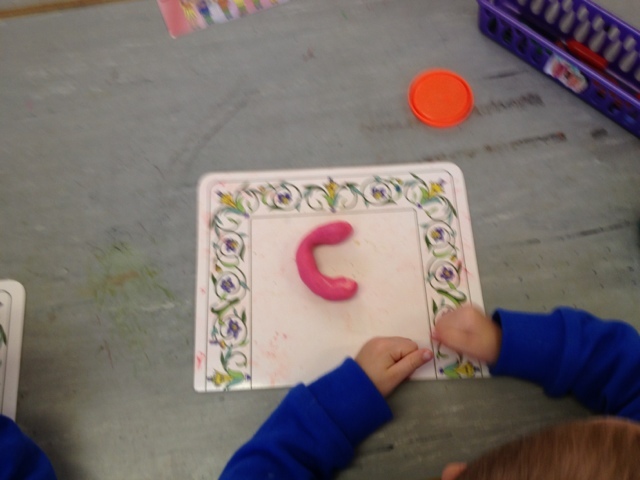 This week we are doing the letter c. C says "c" as in cat. 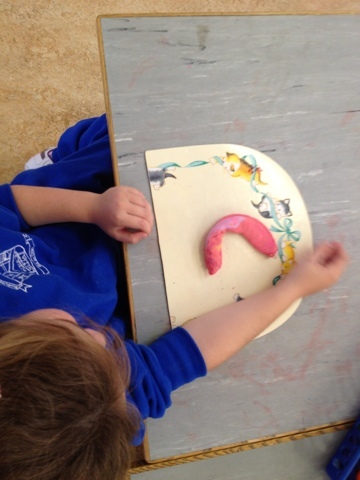 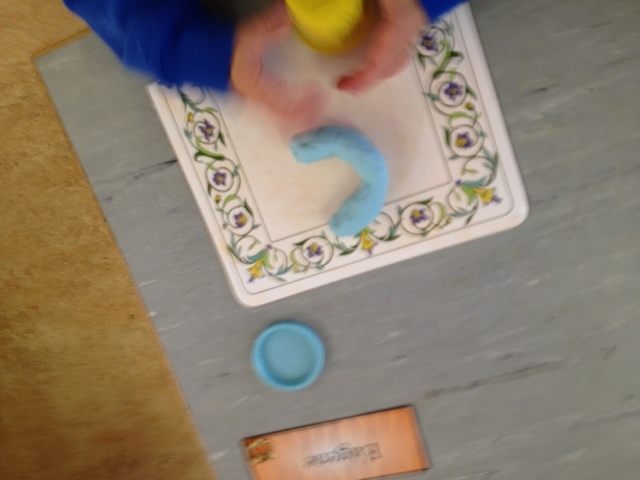 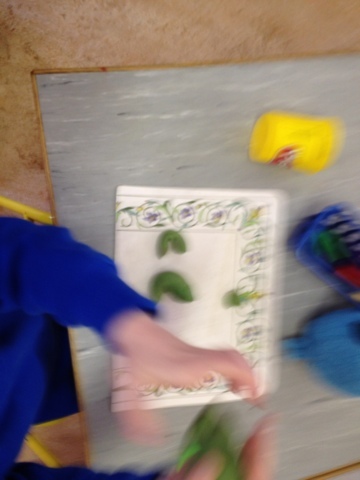 We look for lots of things around the room that start with the letter c. We make the letter out of play doh. 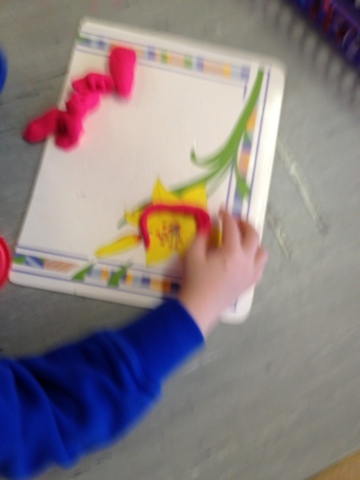 We practice forming the letter in our books. 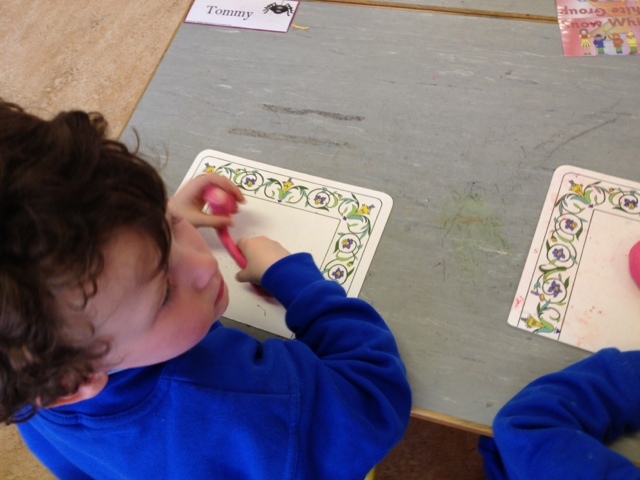 We hold our pencil using Tommy Thumb and Peter Pointer, Middle Man is placed behind the pencil.